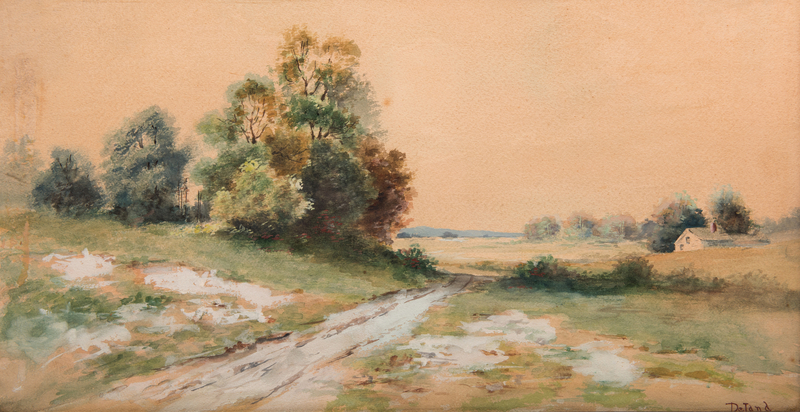 American School watercolor on paper, rural landscape with dirt road leading past trees to the left and farmstead at right background. 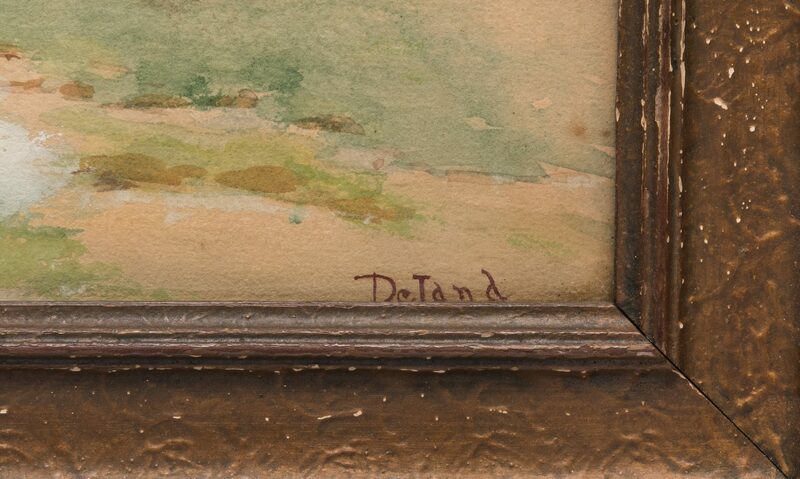 Signed in red, Deland, lower right. Likely original carved and molded worn gilt frame. 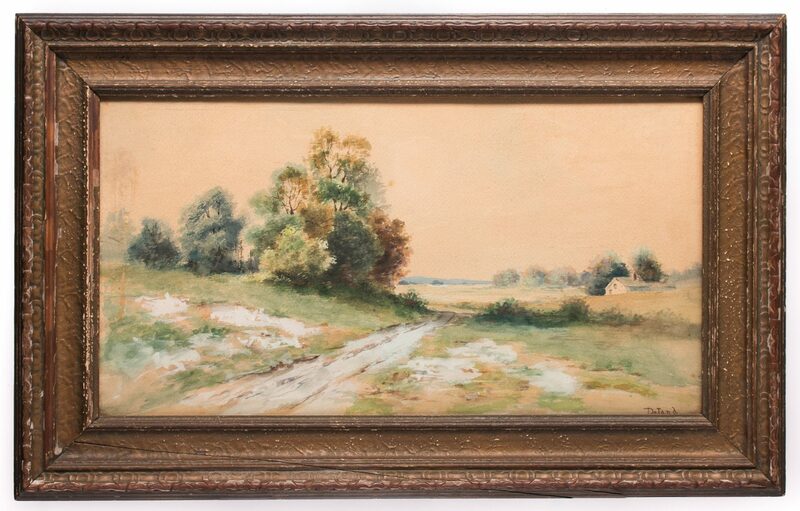 Sight – 12" H x 22" W. Framed – 17 1/4" H x 27 1/4" W. late 19th century. CONDITION: Yellowing to paper. 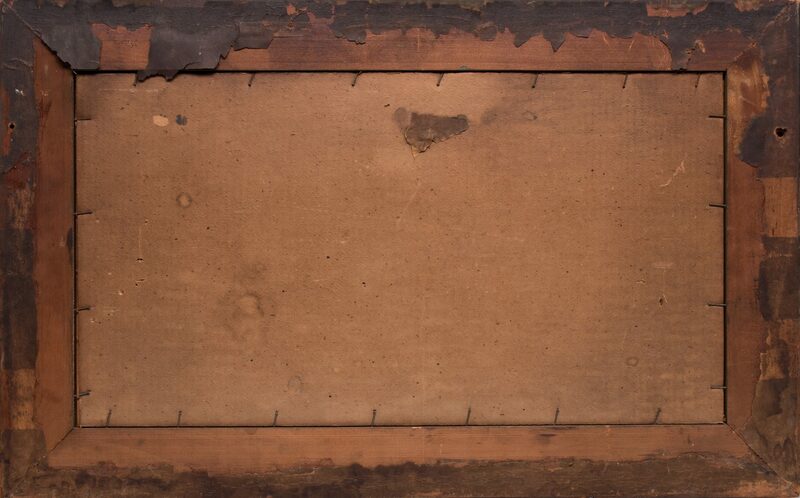 3" L x 1/2" W rubbing area to paper, left center margin. 14" long split to frame molding lower left.